PAX BRITANNIA: YOU ARE THE HERO - 6 Hours to go! It's 9.00am GMT which means we've only got 6 hours to go until the YOU ARE THE HERO Kickstarter comes to an end. We've also taken the bold move of announcing a second stretch goal of £23,000 and if we achieve it in time, every physical copy of YOU ARE THE HERO will be a hardback rather than a softback. 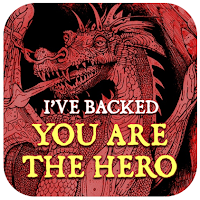 So please do all you can to push this project to the last, and help make YOU ARE THE HERO - A History of Fighting Fantasy Gamebooks - the magical artefact all of us want it to be! Read about YOU ARE THE HERO on the Forbidden Planet International blog. YOU ARE THE HERO on The Trollish Delver. YOU ARE THE HERO on Kicktraq. 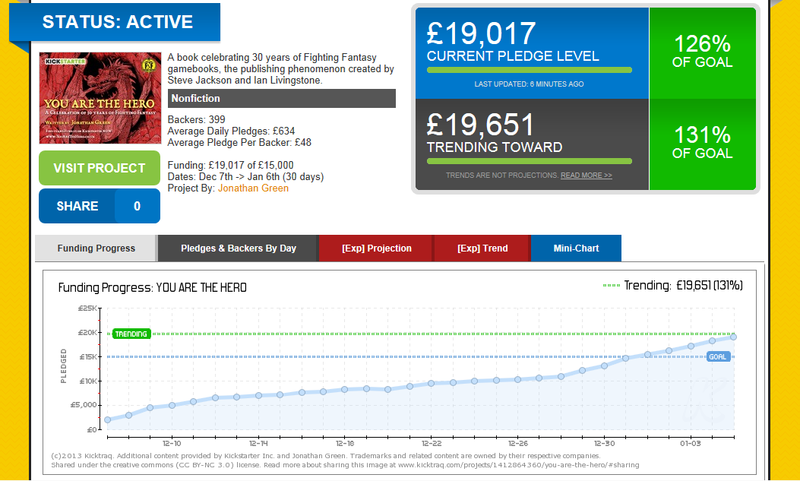 YOU ARE THE HERO on the Fighting Fantasy Project. YOU ARE THE HERO on Titan - The Fighting Fantazine Blog. 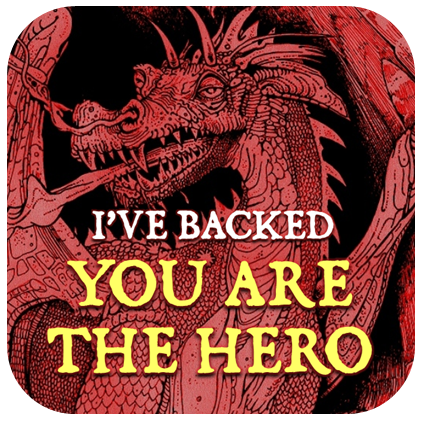 YOU ARE THE HERO on RPG Kickstarters.